Ask and we'll find the answer! Building confidence in the web! 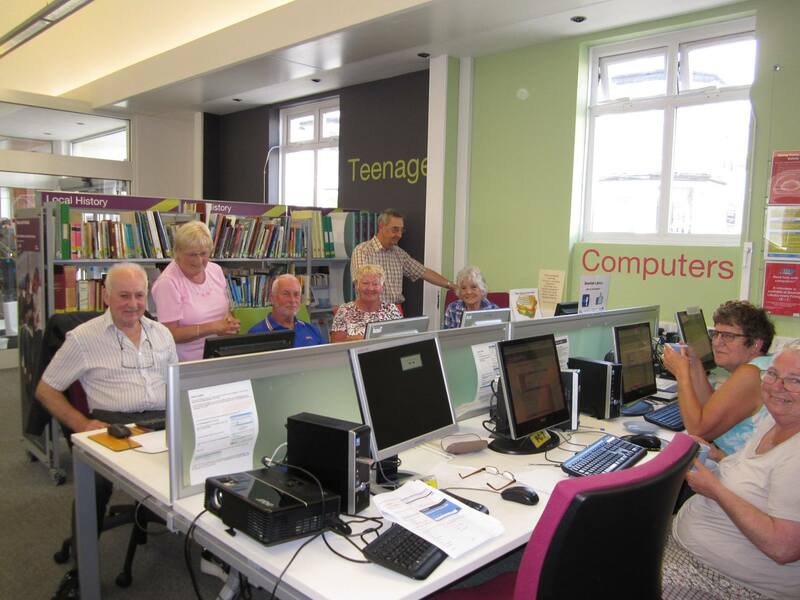 Yesterday was the second workshop held under Open DAW’s (Dawlish Community Information Centre) Devon Community Foundation grant aimed at people over 60. The workshop aims to build confidence in surfing on the net and included a look at Council and Government websites with general help to surf around. Angie applied for the grant for Open DAW and is lead organiser and trainer in the project. The workshop involves partnership working with East Devon Council, the CAB and the Library amongst others! The next workshop is already fully booked!! We already have to volunteers helping with the workshops too!! Our latest partnership project has just gone live…..We will be assisting in the updating and management of community event information screens in Dawlish and Teignmouth! We are working with Dawlish and Teignmouth Town Councils and the Teignmouth and Dawlish Community Interest Company. Our first screen went live yesterday and will be officially launched on Monday 29th June 2015! What’s Angie been up to…..